It is sacred to both Hindus and Buddhists. 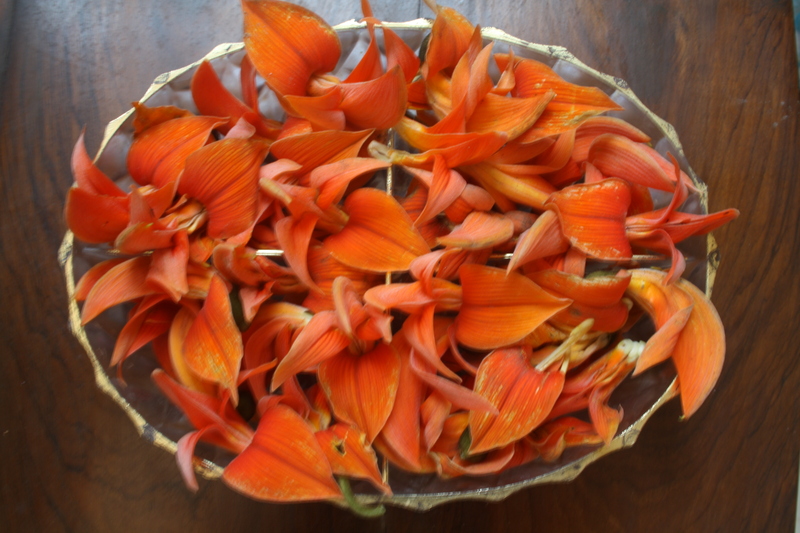 The offering of the palash flowers during Saraswati puja is an essential requirement as per the Bengali customs. Without it, the puja is considered incomplete. The flower is also offered to Goddess Kali. The dried flowers are used as a diuretic. The gum obtained from the tree is called Bengal Kino. It contains tannin and is used in the treatment of diarrhoea. The seeds have anti-helminthic properties and are used in the treatment of worms. The wood is soft and durable and is used for making boats. A yellow dye, obtained from the fresh palash flowers is used during the festival of Holi.